So guys, how’s recycling stuff going on? I hope it is going great. A few days back we presented a project regarding the cardboard recycling ideas. And you guys really appreciated the whole plan. I think this got so famous because this is damn easy in recycling. Cutting and molding the cardboard material is so damn easy, cutting could be done even with the regular scissors. And it can be arranged easily as well. This is used to carry several products, so I think this would be so damn easy to arrange this recycling material. 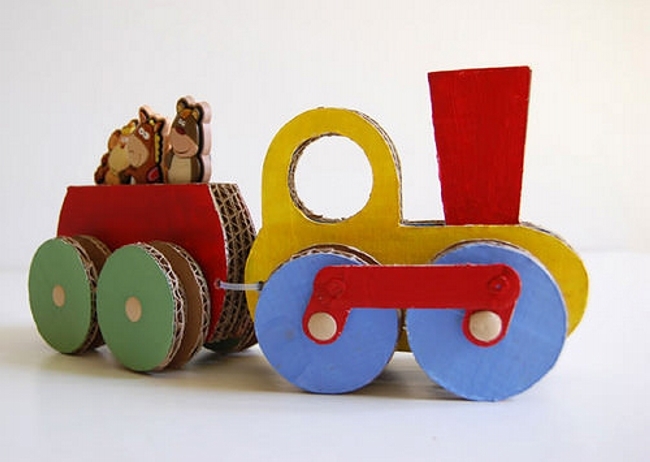 Have a look on the upcycled cardboard train ideas. Making some cute caricatures using different materials has always been our prime focus. 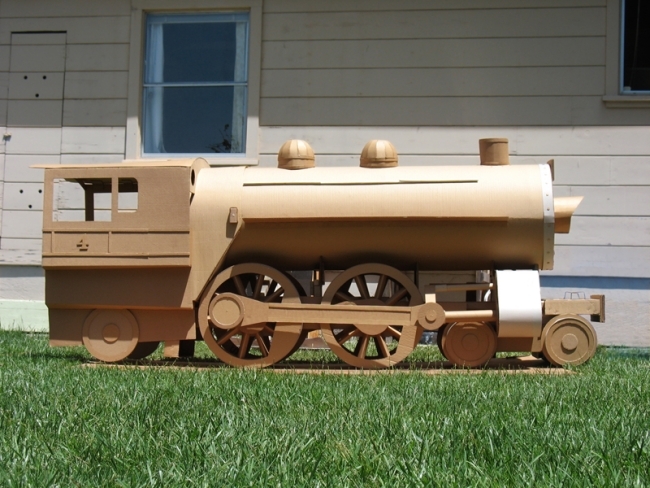 This time we are going to recycle this locomotive using the plain cardboard. Just look at the extreme skill demonstrated in this project. Certainly done by some cunning crafter. 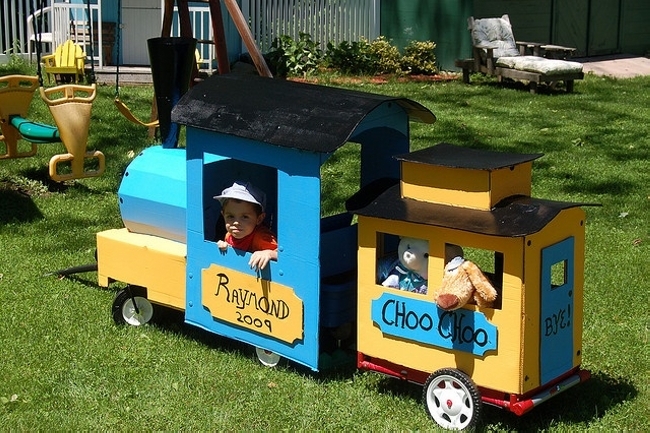 What about this cute steam engine recycled for the kids? May be done for some KG school project and then placed inside the house in kids room. And this is made so huge that even the kids can get inside it. 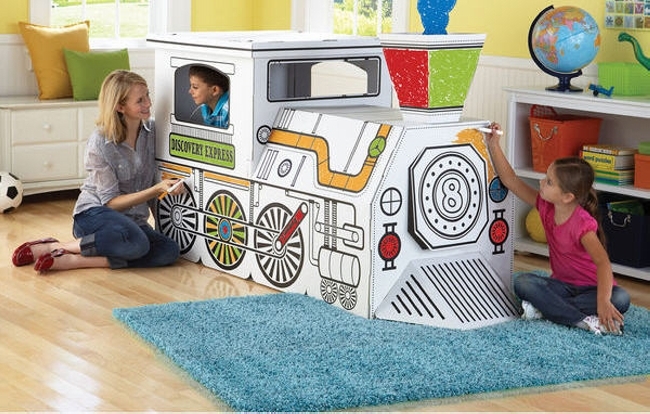 Then it is also painted in such a manner that it became a perfect kids stuff. 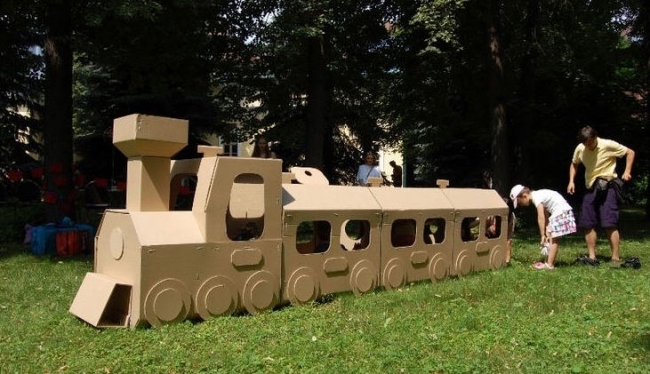 This is another cute upcycled cardboard train for the kids. 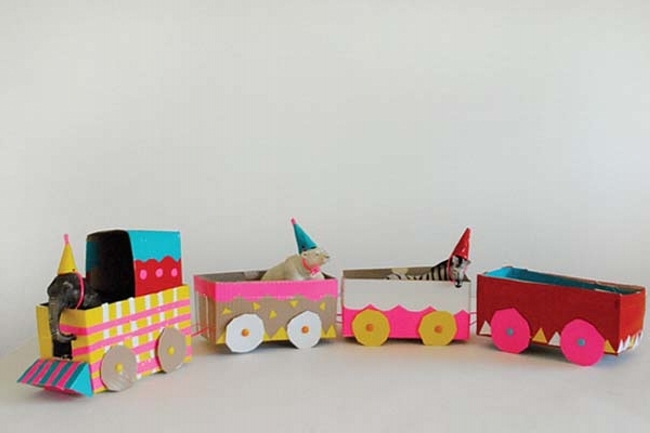 Full of colors and stuffed with toys, this train is probably heading towards the kid’s dream land. 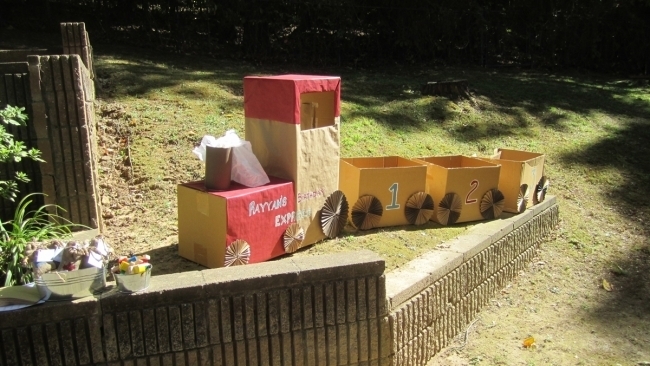 Nothing other than cardboard is used in recycling this train, this could be a great present for the school going kids. 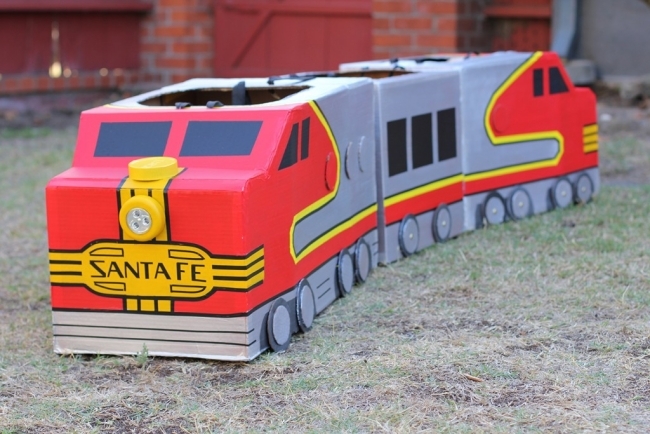 Even if you want to go further and want to make a large cardboard upcycled train. 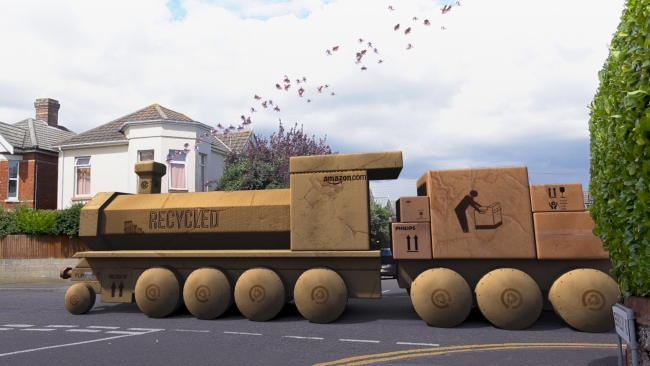 This is also an option for you, but for this you would have to collect some larger quantities of cardboard. And obviously you will have to do a lot of home work regarding measurements and design specifications. 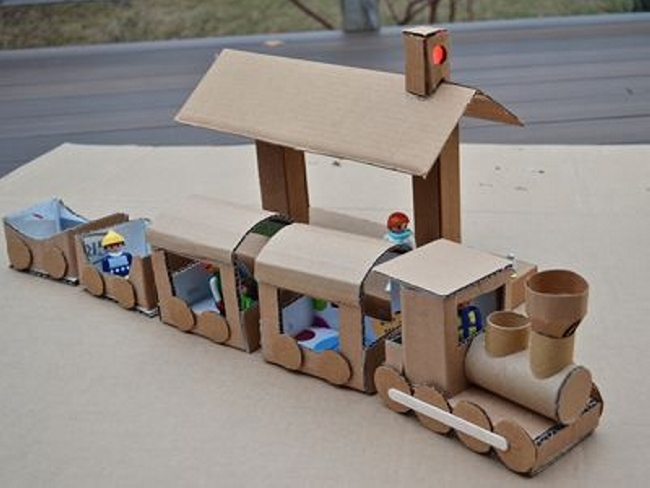 Ok this is something different from the projects we did earlier, this time we are adding some more features in this cardboard recycled train. 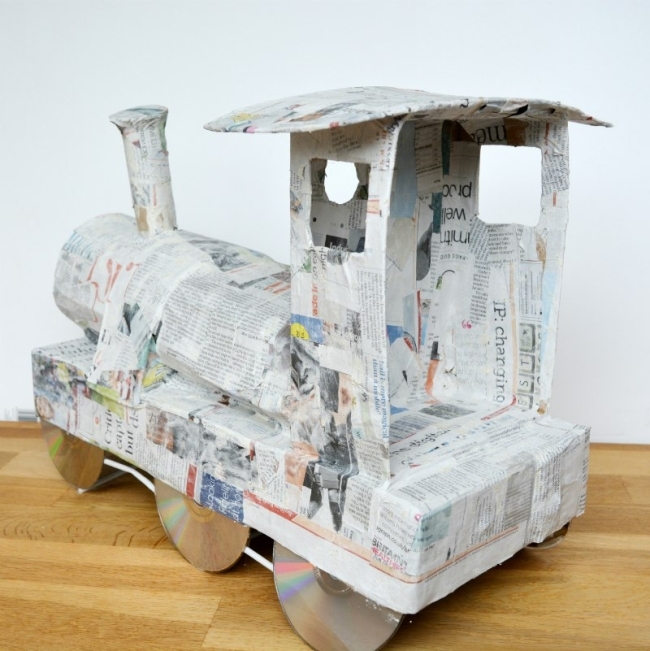 We have installed the CD’s as the wheels, and we have wrapped up the locomotive with old newspapers. 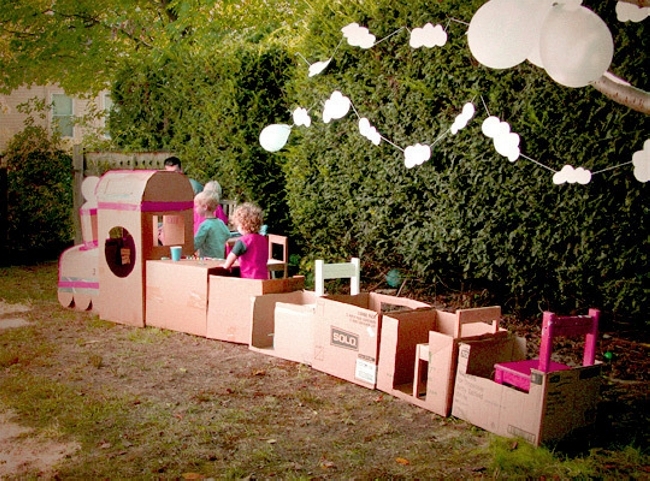 Wow, a whole fun land for the kids is recycled using the same cardboard material. 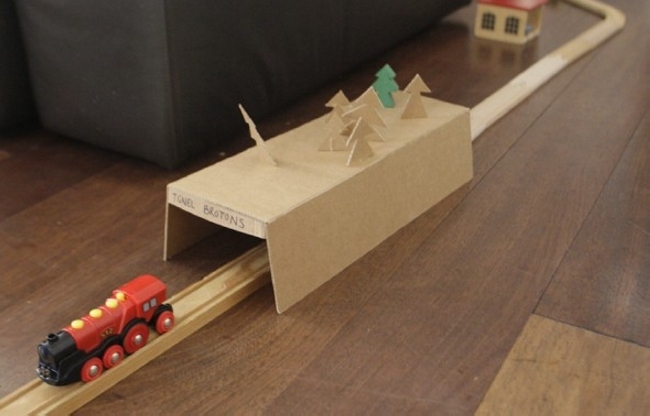 This time the train is not made with the cardboard, but the railways station is created with the cardboard. 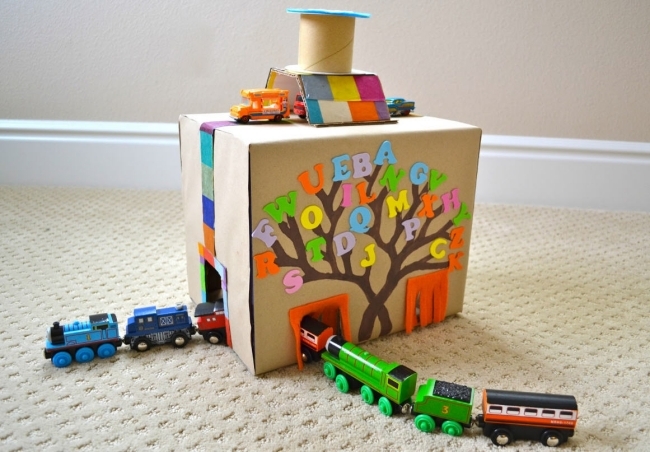 Fringes are made by cutting the cardboard, and the alphabets again made with cardboard are pasted on the wall making it a pure kids material. 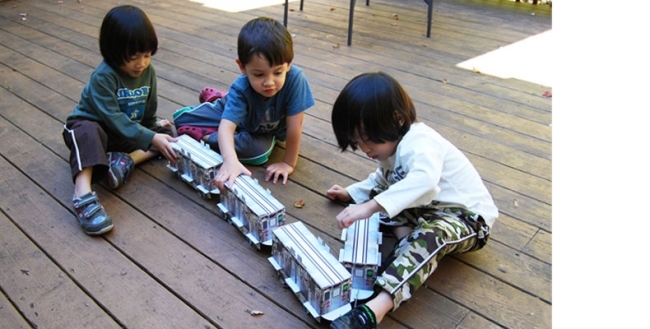 Working on these cardboard recycled trains was purely a fun activity for us. 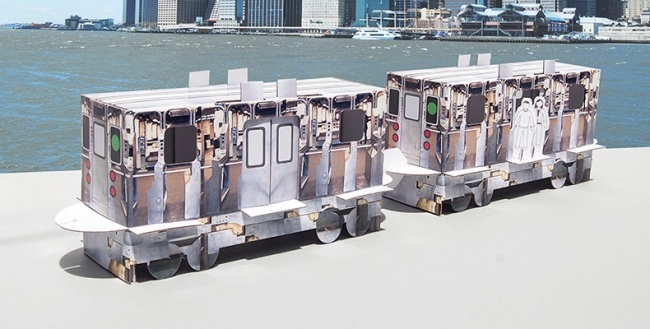 We made different train caricatures painted and designed differently, and all were made with the same material called cardboard. 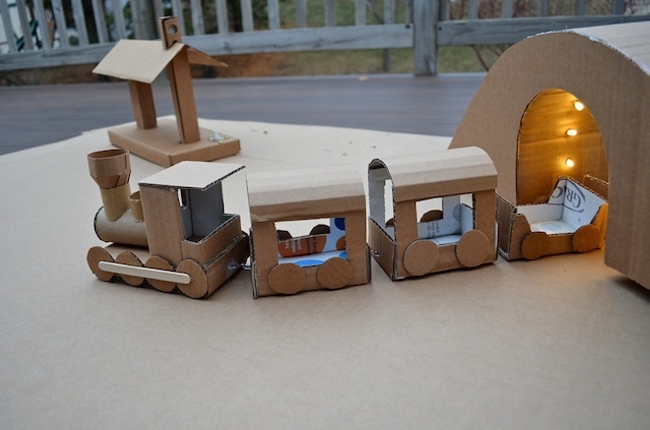 And finally this one is a comprehensive plan made using the cardboard. 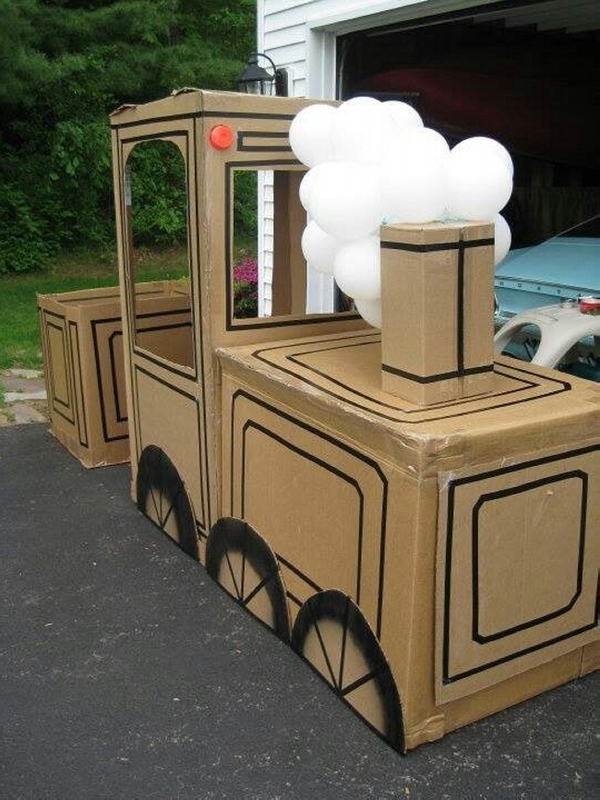 This one is again the creation of cardboard, you can try such a great recycling plan for your kids. This time we have given these art projects a whole new dimension. 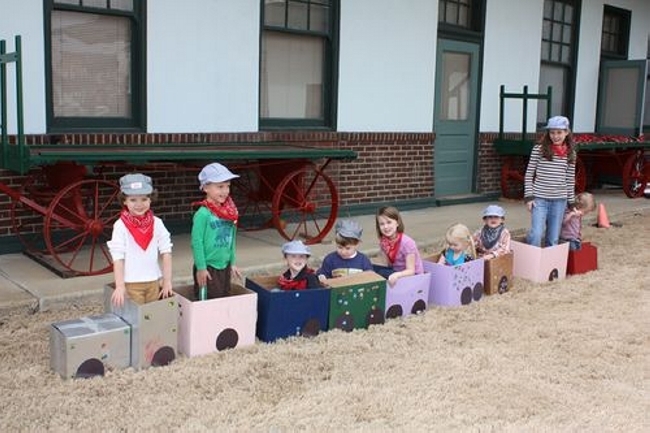 Just make your kids feel special by having this sort of creative ideas. 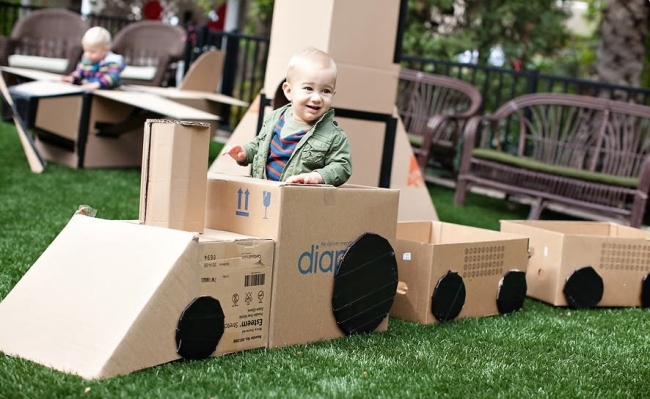 Hope they would enjoy this cardboard creation more than other artistic stuff they have with them.